Temperature and humidity sensor includes a capacitive humidity sensor and a digital temperature sensor, built-in one high-performance 8-bit SCM, standard I2C interface, duct and wall mounted, all automated calibration, completely interchangeability, with excellent quality, fast response, strong anti-interference ability, long signal transmission distance above 20m. Temperature and humidity sensor has a capacitive humidity sensor and a digital temperature sensor, standard I2C interface, duct and wall mounted. Duct temperature and humidity sensor adopts the temperature and humidity sensing module to detect the temperature and humidity, and carries out signal processing through high performance SCM. Meanwhile, it outputs various analog signals or standard signals. The sensor is widely used in building automation, climate and HVAC signal acquisition, museum and hotel climate station, greenhouse and medicine industry. The duct temperature and humidity sensor adopts convenient duct mounted method and outputs standard analog signal 4-20mA, 0-5V, 0-10V. 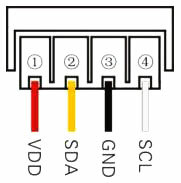 It can even output the RS485 digital signal, which can be directly applied to various control systems. The machine has a better performance and a better long-term stability. Such a temperature and humidity sensor is generally suitable for a temperature range of -40-120℃ and a humidity range of 0~100%RH. The warranty period is generally one year. After the warranty period, the measurement accuracy will have temperature shift. To ensure the measurement accuracy, it is suggested that the customer calibrates the product accuracy after the product is used for 1~2 years.